NXT Takeover: Dallas is highly regarded as the best Takeover special NXT has done. The tag team, Women’s and NXT title matches all delivered on a rollercoaster of emotions. Sami Zayn and Shinsuke Nakamura had what has been heralded as the greatest NXT match ever. With such high praise it’s understandable the Takeover shows that follow will have the deck stacked against them in terms of delivering a spectacular show. Since Takeover: Dallas and the next special Takeover: The End, NXT has lost several of their key talents to the WWE main roster. Former tag champions American Alpha, former NXT champion Finn Balor and Baron Corbin who all appeared on the last two Takeovers are gone from NXT. So are crowd favorites and newer talents such as Enzo and Big Cass, Nia Jax and Eva Marie. While NXT is in a rebuilding phase and still have well known talent, that talent is still at a level a few notches below the talent that’s departed NXT. 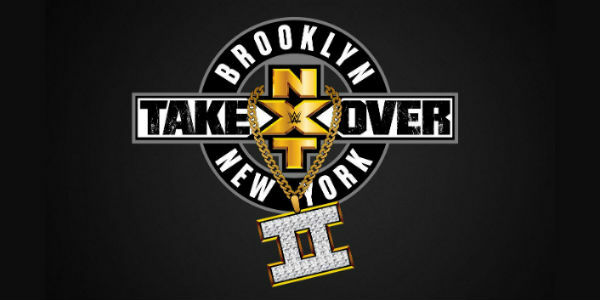 It’s not just the loss of talent NXT has to overcome for their latest special Takeover: Brooklyn 2. I think this special will fall short because of sequelitis. Since Takeover: Dallas, Hollywood has delivered 16 weeks of sequels at the multiplex. Most of these films have failed to live up to the expectations established by the previous film. 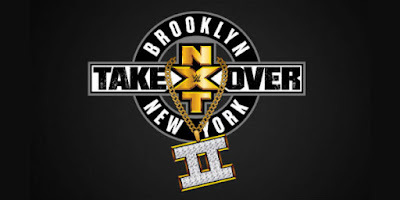 The same flaws I have seen in the theatrical sequels, I see in the line up for Takeover: Brooklyn 2. Looking at the card for TO:B2, I see a lot of similarities to the failed Hollywood offerings. It’s not that the TO:B2 card is bad, it’s just that compared to the previous events, there’s not much to get excited about, in my opinion. I also realize I’m not the NXT target demographic. I’m pretty confident that if I play the “this is awesome” drinking game, I’ll be drunk 30 minutes into the show. My biggest issue with this show is that nothing seems to have any meaningful build. Other than the Women’s Title match, which is a rematch, and the Tag Title, everything else seems to be the result of some one saying “these are the people we want to focus on, put them in matches.” I don’t think there’s any real intrigue in any of the undercard matches. Hopefully, it’ll help if I view this show like the sequels I’ve seen this year. To paraphrase the Gin Blossoms, if I don’t expect too much, I can’t be let down.” The wrestling should be very good even if the storytelling of the show isn’t the greatest.